Blanco tequilas, also known as Silver tequilas due to their clear, colorless nature, are the unaged type of tequila. Blanco tequila is almost always bottled right after distillation, although some blanco tequilas may be aged for two months (at most) in stainless steel barrels. The taste of blanco and silver tequilas is harsher and you can taste the distilled agave pretty strongly. 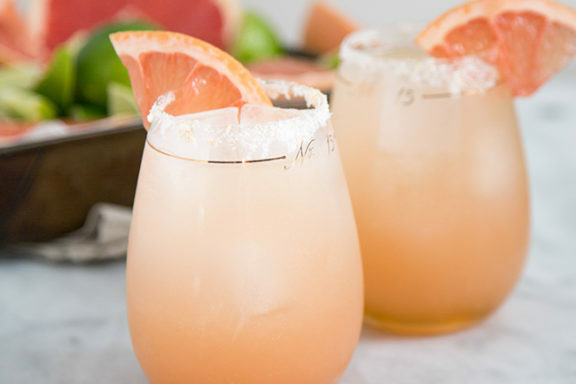 This makes these tequilas more ideal for cocktails and mixed drinks than for sipping, however most blanco tequilas at Agave Cocina are definitely sip-worthy. Milagro Select: Estate-grown and crafted with 100 percent blue agave, Milagro Tequila’s Select Barrel Reserve Silver is balanced, agave-forward and full-bodied. It’s unique from other blanco tequilas in that it is aged for 30 days in American and French oak barrels. Milagro Select is a fine sipping tequila with a crisp and fresh aroma as well as flavor. 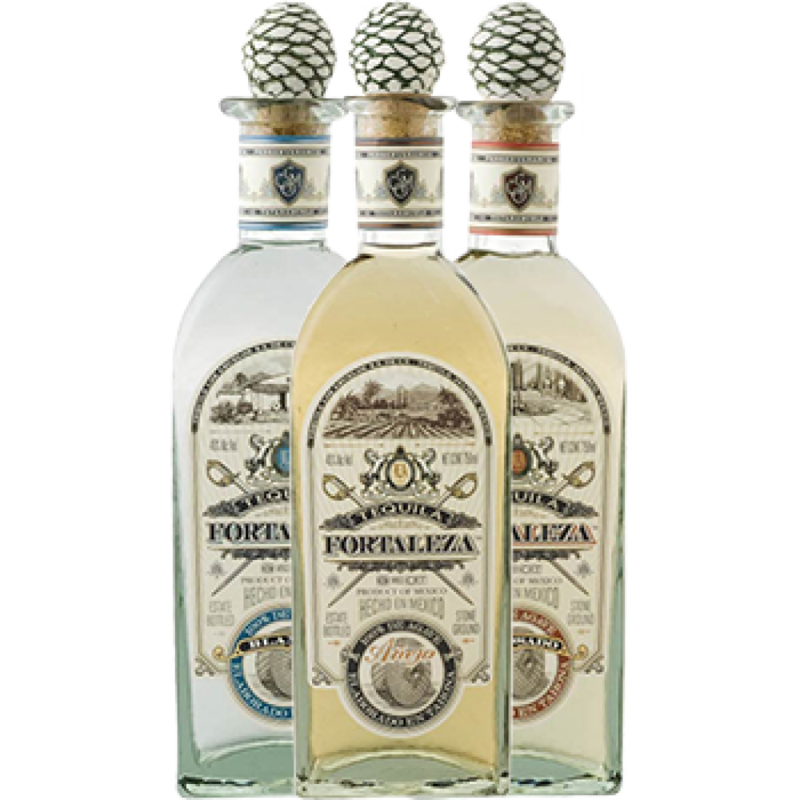 Fortaleza: 100 percent blue agave is stone crushed, double distilled and fermented in open-air wood tanks to bring Fortaleza Blanco tequila its complex, yet inviting flavor. 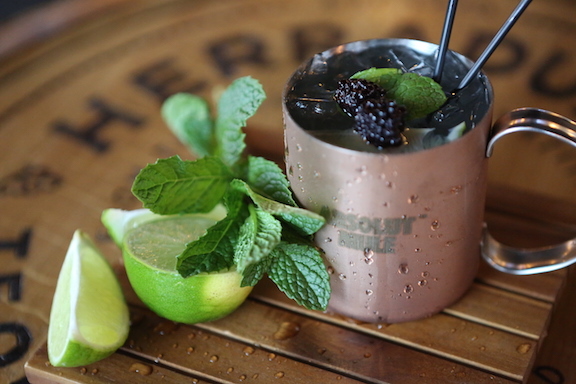 Butter and olive hits the tongue with notes of citrus, vanilla, lime and basil to augment the cooked agave taste. Casamigos: Blanco tequila made by the small batch, Casamigos is smooth sipping tequila that is also delicious in cocktails. This blanco is crafted from hand-selected 100 percent Blue Weber agaves. After distillation, it rests for two months to achieve its crisp, clean taste with notes of sweet agave, citrus and vanilla. Reposado tequilas are becoming more and more popular among tequila enthusiasts. These tequilas are aged in oak barrels, but only for 2-12 months unlike Añejo or Extra Añejo tequilas. Reposado is the next step of smooth, subtle and complex in the realm of tequila, and is typically more rounded and integrated than a Blanco. As it ages in the oak barrels, the tequila becomes more rested – the translation of the word ‘reposado’. Reposado tequila is often the best tequila for margaritas, but it’s also the choice for shots, if you’re shooting tequila. Patrón Reposado: The smooth, slightly oaky flavor of this Reposado comes from being aged at least two months. 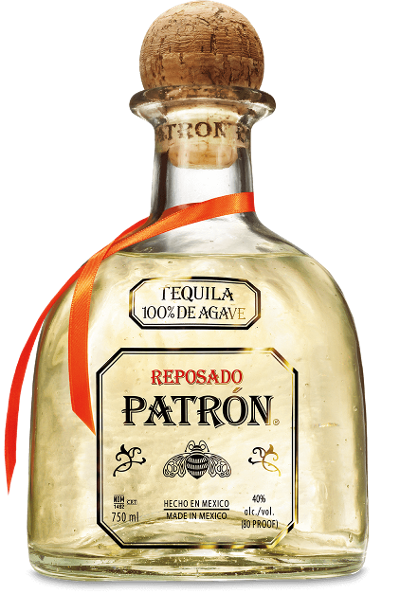 Patrón Reposado has an aroma and taste of fresh agave, complimented by a hint of citrus fruit and honey and a finish of vanilla and light florals. Espolón: El Espolón Reposado is made with 100 percent Blue Weber agave tequila. It’s aged in white oak barrels for six months, giving it a lovely golden color and balanced flavor of agave and a hint of oak. Corzo: This carefully crafted Reposado brings Corzo’s Silver tequila to a new level of elegance. Hints of oak and honey come aging the tequila in small white oak barrels, creating a pure and refined Reposado. “Añejo” means “old”, and that’s just what gives this type of tequila its special flavor. Añejo tequilas are aged in small oak barrels for one to three years. Tequila must be aged a minimum of one year in order to be classified as Añejo tequila. Also, distillers of Añejo tequilas must use barrels that are no larger than 600 liters (158.5 gallons). Because of the minimum time and barrel size for aging, Añejo tequilas offer a more smooth, rich and complex flavor and aroma than Reposado tequilas. 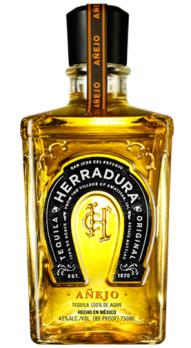 Herradura Añejo: Herradura ages their Añejo for two years, resulting in a deliberately smooth flavor that has distinct notes of cooked agave, toasted oak and dried fruit. The aroma has characteristics of spice and flowers. Pueblo Viejo Añejo Tequila: Aged at least one year, the Pueblo Viejo Añejo Tequila is one of the most popular bottles from the Casa San Matías distillery (one of the oldest). The aging takes place in American oak barrels, bringing a medium body and tastes of vanilla, cacao bean, coriander, dried orange peel, and black licorice. El Tesoro de Don Felipe Añejo: Many connoisseurs name the Añejo from El Tesoro de Don Felipe as one of the best tipping tequilas in the world. It is aged for 2-3 years in oak barrels, resulting in a dry but fruity, medium-bodied flavor with citrus peel, tomato, sage, vanilla/caramel and dried white flowers. 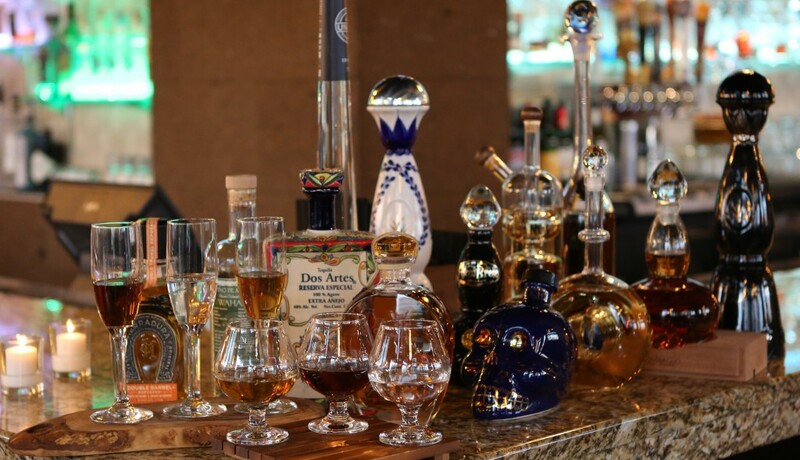 Established in 2006, Extra-Añejo is a classification for any tequila that’s been aged for a minimum of three years. The same rules for Añejo aging apply to distillers; barrels of a maximum capacity of 600 liters. Due to the longer aging period, the tequila has more time to absorb the flavors of the oak barrels, which are sometimes previously used for aging whiskey or bourbon and other spirits for unique added flavor notes. Extra-Añejo tequilas often have a darker color, and are very smooth as well as complex, sometimes making this tequila difficult to distinguish from other fine aged spirits. Asombroso 5-Year: Aged at least five years in French Oak, Asombroso’s Extra-Añejo tequila is a wonderfully smooth and mellow sipping tequila that is comparable to a quality aged Armagnac or Cognac. The aroma is initially reminiscent of honey, which develops into the flavor profile with vanilla, light toffee and buttercream. Asombroso’s Extra-Añejo has a lovely smooth finish. Herradura Seleccion Suprema: This world-class Extra-Añejo is aged for four years, which gives it the warm dark amber color and a delicious blend of flavors including cooked agave, vanilla, toasted oak, citrus and rose petal. Herradura Seleccion Suprema Extra-Añejo is excellent for sipping, as a medium-to-full bodied ultra aged tequila. 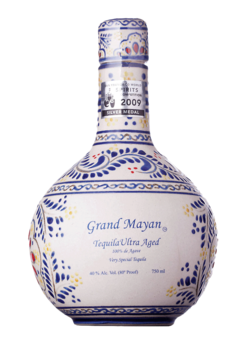 Gran Mayan Ultra Aged: Starting with a sweet, nutty aroma and developing into a smooth and nectar-like affect on the palate. The taste is lightly tannic, with crisp and peppery notes of cinnamon and honey, chicory coffee, and cola. It comes in a distinctive hand-painted talavera bottle. While all spirits classified as ‘tequila’ must be made from 100% blue agave, Mezcal is a variant of tequila that can be made with any type of agave plant—more than 30 different species and varietals. This allows for more variety in the way it’s made, which leads to some very unique and special spirits. Most mezcal is made in Oaxaca, although agave grows throughout Mexico so some mezcals come from other regions. Mezcal was invented by the Spanish conquistadors, who experimented with agave and eventually created a distillable mash from the fermented agave piñas. Some mezcals have an iconic ‘worm’ inside the bottle, which is the larva of a moth that sometimes infests the agave plants. Clase Azul: The extreme climate, natural springs, and rich minerals in the soil of Durango, Mexico give unique flavor and complexity to the Cenizo Agave that is used to make Mezcal Clase Azul. The agave is milled by hand, which sets Clase Azul apart in the world of tequila and mezcal production. Mezcal Clase Azul has delicious sweet notes of brown sugar, peanuts, and honey that mix with smoke, wood and chocolate for a rich flavor profile. It comes in a beautifully hand-carved black decanter. Del Maguey: Del Maguey offers a variety of artisanal mezcals that are produced using the original, handcrafted methods combined with terroir and micro-climates. All of their mezcals (Chichicapa, Crema der Mezcal, Espadin, Minero, San Luis Del Rio, and Vida) are crafted by families living in old-style villages, which give each product its name. Try them all! Wahaka Joven: Crafting premium, hand crafted mezcal from the popular region of Oaxaca, Mexico, Wahaka Joven offers a handful of incredible mezcals and mezcal blends: Espadín, Ensamble, Madre-Cuishe, and Tobalá. Muddle agave and orange slices in a cocktail shaker; add tequila and ice. 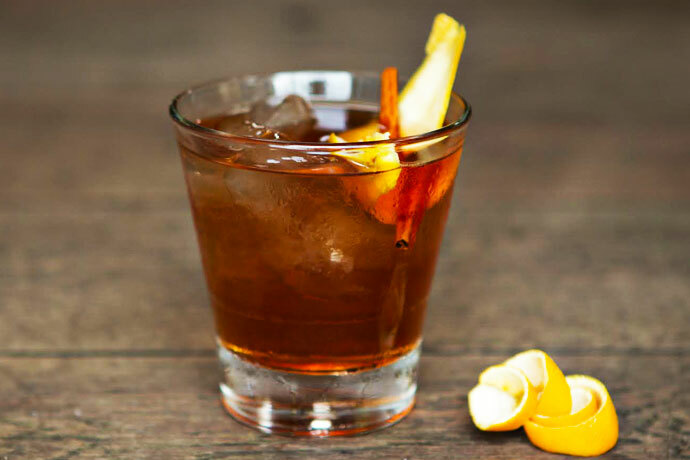 Stir until well-chilled and strain into an old fashioned glass filled with ice. 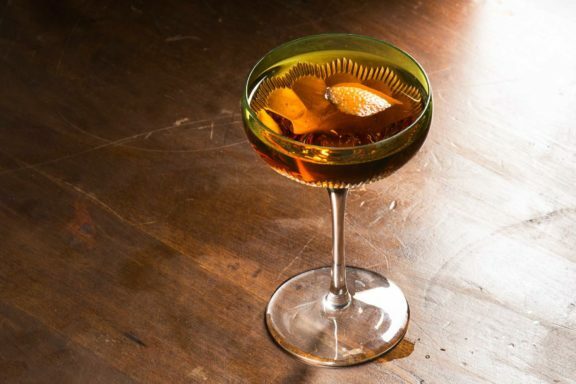 Add bitters and garnish with orange peel. Rim a glass with salt, then fill with ice and add the tequila and lime. Finish with the soda. Drop about 3 ice cubes into a glass and add the tequila, lime juice, bitters and ginger beer. Stir and add the garnishes. 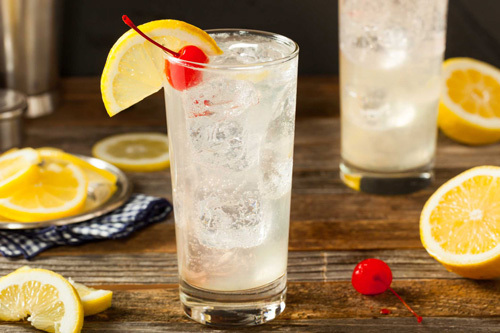 Fill a collins glass with ice and pour the tequila, lemon juice and agave nectar. Stir, then top with the club soda and garnish with a wedge of citrus.